They are bright and colorful. They are semi-transparent. They are sturdy, yet easily repositionable. Adding pages to mini albums. Sealing page protectors and envelopes. Adding a color or pattern accent. Sealing envelopes (my favorite things to do). Wrapping gifts and fun packages. Keeping dies, templates and masks in place. I do not have all washi tapes of all brands but I’ve amassed quite a few. and I keep collecting more. It’s an ongoing process – all new Washi family members are welcome! Here is what I think of the different tape brands I own, starting with my most favorite downwards. This brand provides the best quality tapes. 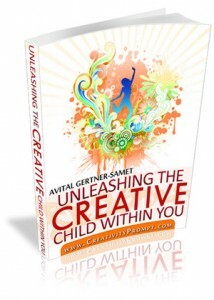 Great graphic designs that can go with many themes and designs. Sturdy – when you stick them – they tend to stay put. Easy to remove without leaving any residue or peeling off the paper. Luf. Luf. Luf them! P.S. 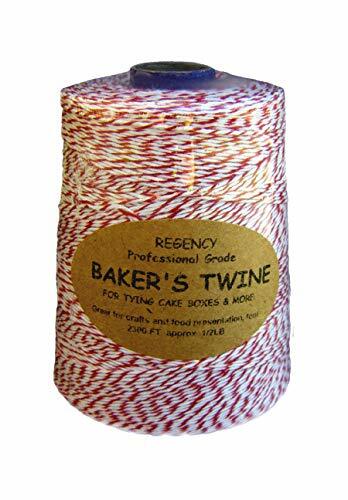 This brand also carries fabric tape and lace tapes. I’ve only tried the fabric tape and it’s awesome – but bear in mind that these are opaque, stronger and will not peel off easily after they’ve been laid down. These tapes are called ‘Trendy Tapes’ and they are very reasonably priced. They are just as good as other washi tapes but cost a smidgen less. 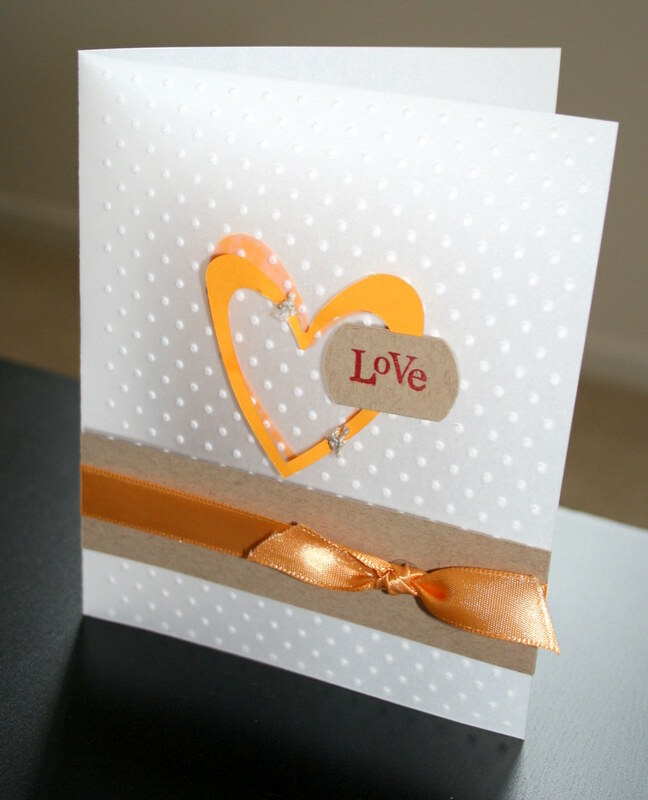 As for designs – I love some and don’t care much for others – but that’s a matter of personal taste. As for quality – they are very good and have all the properties I love in ‘Love My Tapes’ but sometimes, not always, when removed – the paper underneath will peel off a little bit – which is why they are placed second and not first. [Note that Prima’s tapes cost less, but the rolls are much smaller]. It was very hard to ‘rank’ this brand. The thing is that the quality varies. Some are more opaque, some are more sheer. Some are sturdier and some peel off easily. Some can be removed without leaving any residue and some cannot. This brand has a quality control issue… Having said that, I must add that this brand also has the best and cutest designs. If you are looking for something a bit more interesting than stripes and dots, than this is the brand to look for. Still, even the sub par tapes are better than some of the other tape manufacturers out there – just not as good as the ones at the top of my list. These tapes are down here only because they are not really washi tapes, they are paper tapes… They are much stronger and completely opaque. You will not be able to remove them from your project after adhering them, but that also means that they have the best grip of all tapes. They are great for journaling – and you have got to check out the sale that’s going on right now – the whole package costs less than $5 on Two Peas. Maybe I should stock up on some more. Hmm…. 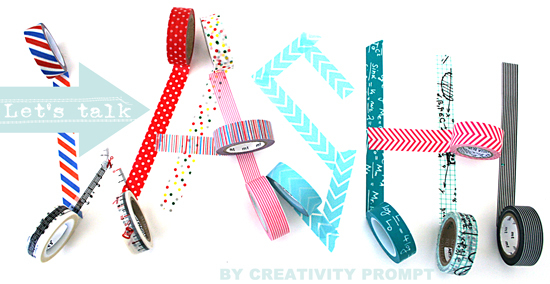 These are down here for 2 reasons:  They aren’t really washi tapes… Nor they purport to be. They are made from a different material – although they have similar properties such as sheerness and ease of tearing. They would not stick… Their ends always peel right off the page and you need to apply some kind of sealant on top to secure them (such as liquid glue or gel medium). 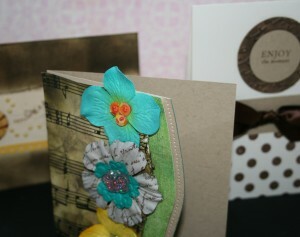 They do come in great designs, very characteristic of Tim Holtz’s grungy style. So if you care for spending some extra time, they will make great backgrounds and accents. These tapes come in really cute designs and great colors (and also in many different widths…) but for me, they were some kind of a disappointment. They do not have the same feel of standard washi tapes, they are mosre glossy and plastic-y looking. They do not stay put very well but they also tend to peel off some of the paper underneath when removed. I also had one of the tape tear on me when I tried to peel a piece of it off the roll… Not the best quality tapes out there but really good looking ones. In conclusion, all tapes have some similar qualities and some that are different. These are my personal opinions, based on using the tapes which I bought with my own money… Opinions vary. This is what makes the world an interesting place. Which is why I tried to be as specific as possible – so maybe a brand that I ranked lower for my reasons ranks higher on your personal scale. The important thing is to experiment and have fun, right!? About 2 weeks ago I purchased a few items from the new cool concept line by K&Company, called: “Smash Books”. I received my fun-mail last Wednesday and I LOVE LOVE LOVE it! There is absolutely no good reason for not updating you guys before, but here I am. Updating. Better late than never, right? I got the pink/ pretty book because I am a girly girl. The cover of the book is fabulous. The floral design is actually embossed into the craft hardcover. The inside of the book is lovely too. Each page is different. Some come in a double-page-spread and some are individually designed. Aside from the cool page design that includes: flowers, maps, wallpaper design and more they also have many pages that include journaling prompts and other graphics that encourage and inspires to use the book on a daily basis. I LOVE that! I am not crazy about each and every one of the page designs. Some are really awesome and some are less awesome. For list lovers, this book also has several list type prompts, such as: current memories, top ten, highlights of today and a book list. I think those are fantastic too. I also bought a couple of the smash pads and I really like them. The designs are cute and the prompts are wonderful. I just wish there would be different designs instead of 4-5 pages of the same design but for $1.90 it is more than what I have expected (not to mention that other brands also sell duplicates of the same designs for more). The pen/glue thingamajig is wonderful. The pen has a fine Sharpie-like tip and it writes very smoothly and the glue is great too. The idea of having them both together on the same stick is downright genius. I would recommend these books to any one who likes to capture and record memories, stories and ideas. It’s perfect for that. I would not recommend buying that as an alternative to a traditional scrapbook or a mini-album. For that purpose I think picking the colors and designs a-la-cart would be a better choice. Now I want to try the doodle, retro and mod designs too! Now, even if you do not have a Smash Book [though I highly recommend it], you can uses these smash prompts and make your own book on a plain composition notebook. What do you think? Do you love this idea too? Do you have a Smash Book? Share by leaving a comment. 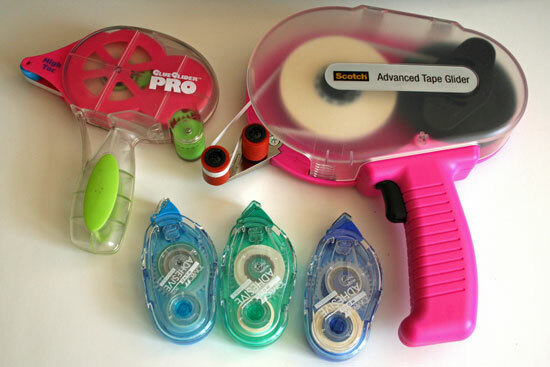 I have been accumulating tape runners for a while, trying to find the best one for me. Now that I have used the three major “actors” in the adhesive arena, I wanted to make a short review for your benefit. In this review I will go through the ease of use and the environmental footprint of each tape runner. You will also be able to appreciate the difference in size of each tape runner. 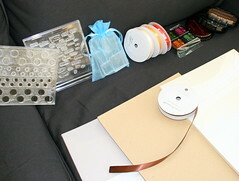 In general all three are very good adhesives, but the above points varies amongst them. I have paid for all the adhesives myself and was not asked to make this review by any company, this is my honest opinion based on my own experience. Pros: Easy to use, adheres well, smooth application. Cons: Shorter refill (39 feet), not environmentally friendly due to many disposed plastic parts. Pros: Adheres well, smooth application and a larger refill (60 feet). Cons: Not environmentally friendly due to many disposed plastic parts. Pros: Easy to use, adheres well, smooth application and the largest refill (36 yards or 108 feet – comes in a package of two which totals in 72 yards or 216 feet) and most environmentally friendly because it has the smallest plastic waste. Cons: More difficult to replace refills (though it takes a minute instead of a second) and it is more expensive to get the dispenser, though the refills are cheaper in the long run. Did you find this review helpful? What other products would you like me to review? I hereby introduce a new type of featured posts on Creativity Prompt, titled: “On The Catwalk“. Marching proudly on the catwalk this week are Papertrey Ink‘s products. Papertrey Ink is a company offering original photopolymer stamp sets as well as the ink pads, cardstock and ribbons to accompany the stamping (and some other cool tools and supply). The company is releasing a few stamp sets each month (on the 15th) along with new shades of ink pads, cardstock and ribbons. As you can see, minor assembling is needed but their built-in storage solution is fantastic. 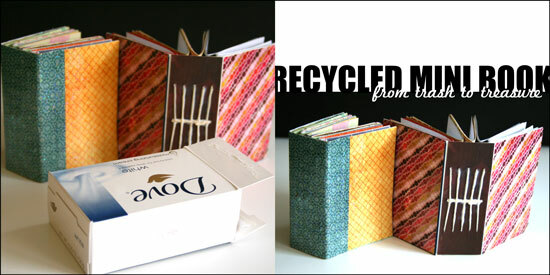 The clear plastic case is also great for paper scraps’ storage. I find it the easiest to first lay all the stamps down inside the CD case and then cut off the impressions from the index label sheet individually and stick them on the CD cover, behind the matching stamp. 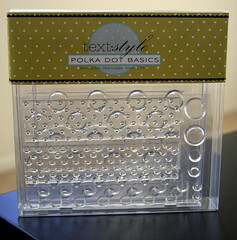 Their stamps are very durable and gives clean impressions. Also their ink pads (by Palette) are excellent too. The ink dries quickly and the light opaque ink-pads give a strong impression on darker colored surfaces. Great use of the transparency of the stamps – The stamps’ design is very imaginative and the transparency of the stamps is well incorporated into it. 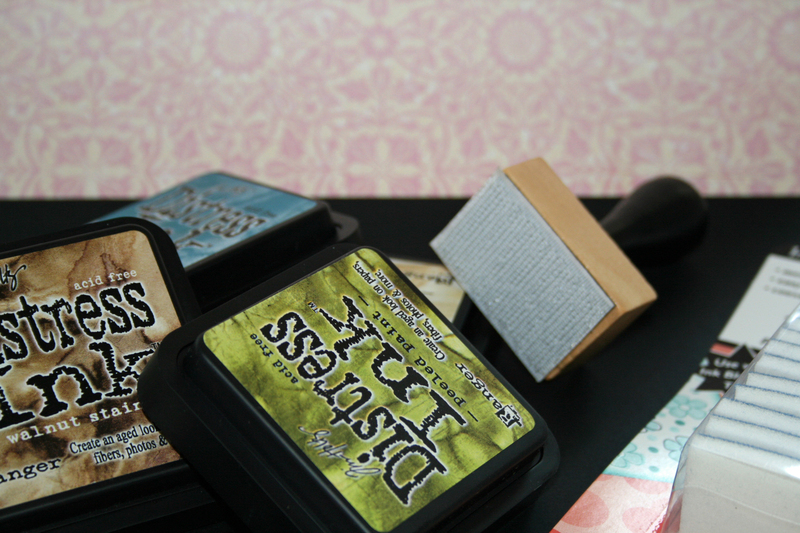 The stamp sets are nestable, thus allow you to customize and adjust your stamped image with layering. 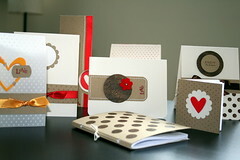 True Match system – Papertrey Ink is offering matching cardstock, ink pads and ribbon for a perfect coordination. Price – The stamps are on the expensive side, at 24 USD per set (some smaller sets are sold at 15 USD and the mini ones, that compliment the bigger sets are sold at 5 USD). You can rest assured I would have bought each and every stamp set, had it not been so expensive. 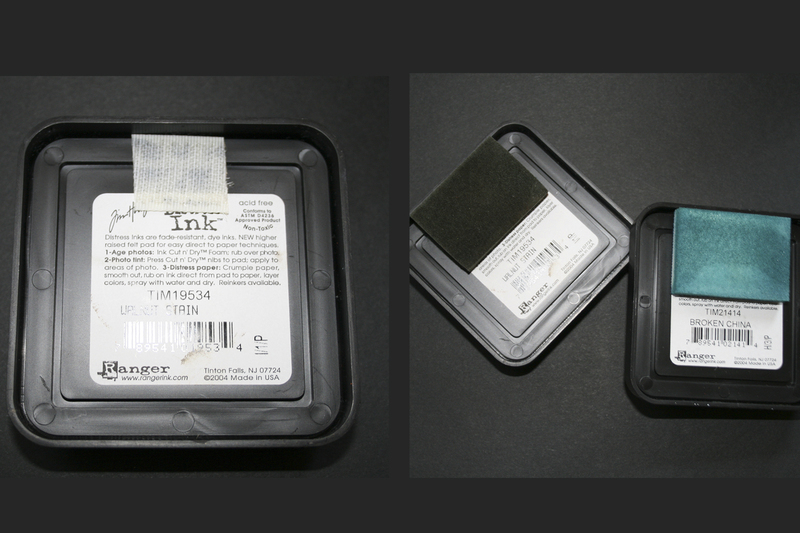 Shipping – I am a true fan of Papertrey Ink’s products, which makes me more susceptible to delays. It took about 15-20 days for me to receive the products (in California) after making the order. I wanted to play with my new stuff much sooner… On the other hand, they offer a flat rate price for shipping (to continental US) and free shipping on orders above 55 USD (to continental US). 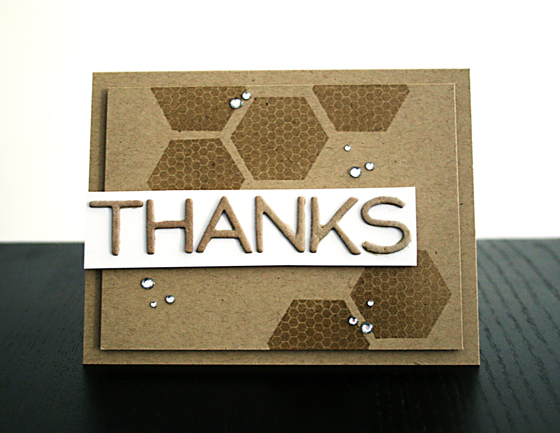 Release agent – Some of the stamps might have a release agent residue on them, which can interfere with your stamping. On the information leaflet that comes with the stamp, they advise to erase the stamps with a pencil eraser… After getting the residue off, the stamps are perfect. 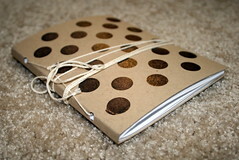 Stay tuned, as tomorrow I am going to post a video tutorial on how to make this notebook using Papertrey Ink’s products. Have you ever used Papertrey Ink’s products? What do you think about them? Is there a specific product or tool you would like me to review? Share your thoughts and leave a comment on this post!